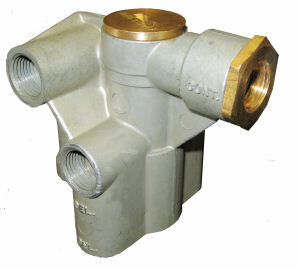 The 110700 is a unique service brake priority valve with a relay feature that dramatically lowers release times. 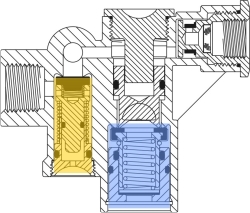 The valve fills both the reservoir and the spring chambers at the same time. This insures service pressure in the reservoir before the spring brakes release. The built in control port prevents brake compounding.